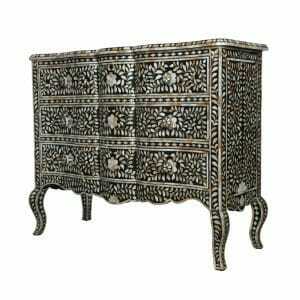 Explore our stunning range of genuine Indian chests of drawers on our online catalogue. 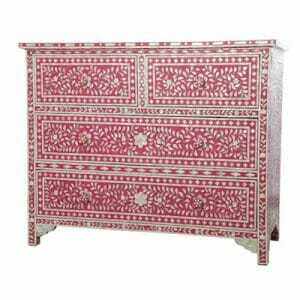 Iris Furnishing is please to provide some of the finest traditional Indian chests of drawers that can be found anywhere in the world. 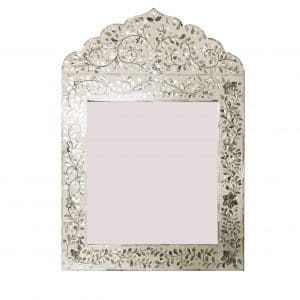 Each piece has been expertly handcrafted from beginning to end by our highly talented Rajasthani woodworkers following ancient techniques of Indian furniture-making. 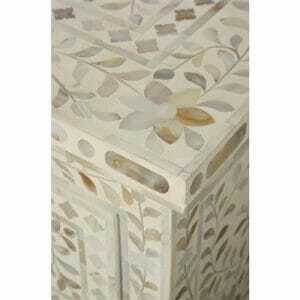 Our furniture is exclusively fair trade and highly regarded for its quality, beautiful and durability. 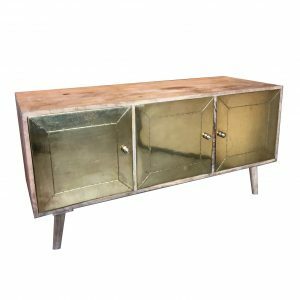 Can We Sell Furniture That Is Beautiful As Well As Practical? 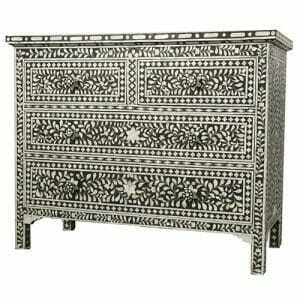 The stunning ornamentation furnishing our artisan chests of drawers boasts not only physical attractiveness but a superbly made hard wood structure, solidly built throughout for strength and to give that tactile pleasure that comes with ease of use. 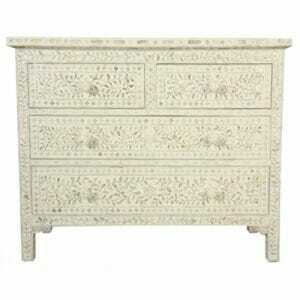 These chests of drawers are made for heavy use, with maximum storage capacity and space-efficient compartments. 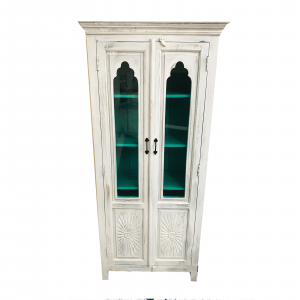 With smooth painted or lined drawer interiors they’re ideal for housing everything from soft furnishings to precious ornaments. 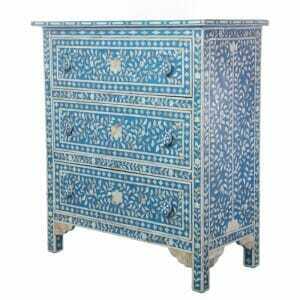 The beauty of good design produces pleasing aesthetics and on top of that, our mango and sheesham wood chests of drawers are ornately decorated, hand built and hand finished in a variety of eye-catching colours and decorative effects, from the striking deep blue mother of pearl inlay chests of drawers to the subtlety of the white inlay or neutral, chrome-effect white metal. And so much in-between. 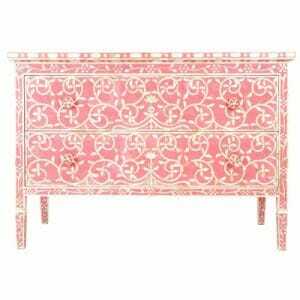 Where Can I Order Bespoke, Artisan Chests of Drawers? 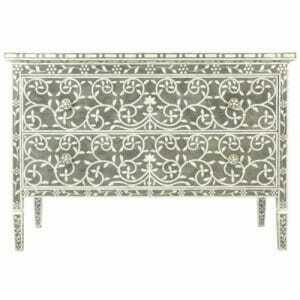 As your furniture should be as unique as you, not only is every single artisan chest of drawers we sell at Iris Furnishing a truly unique piece of décor art, we offer a free luxury bespoke furniture ordering service, so you can have your perfect piece of furniture tailor made to perfection. 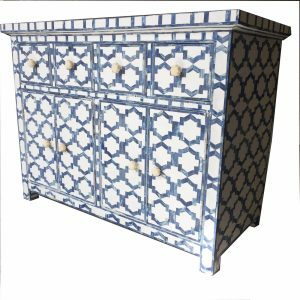 Just let us know the dimensions you require and which decorative finish you prefer and we’ll let you know directly the cost and estimated delivery for your hand made, ethically resourced, bespoke artisan chest of drawers. 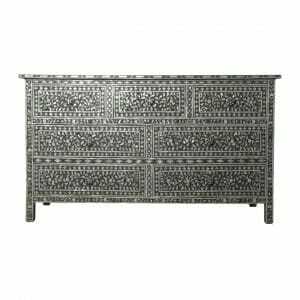 We will help you finalise the all-important details, such as how many drawers you prefer, what type of handles and whatever your choices, everything will be finished to the perfection you can see on all of our hand-crafted Indian furniture. 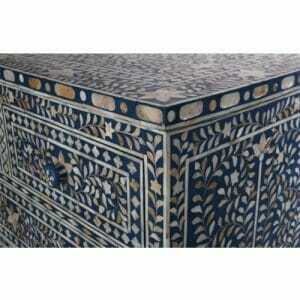 The drawer interiors are painted to match the main colour of the decorative inlay finish, or for embossed furniture, they can be lined with blue or black velveteen. 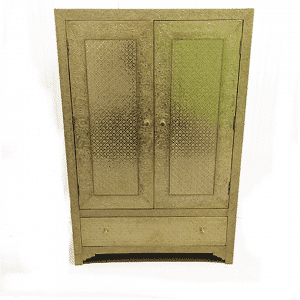 If you are unsure which decorative finish you prefer, spend some time perusing our website and looking at the different styles and finishes on offer. 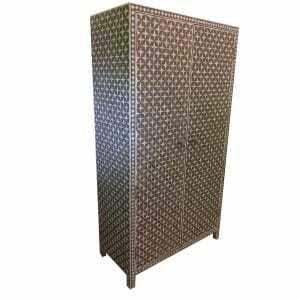 Whatever finish you see on any of our other furniture can be made into a bespoke chest of drawers for you. 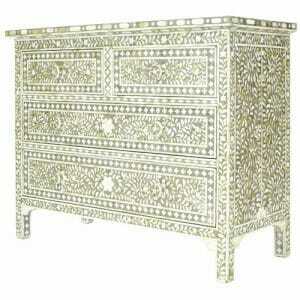 What Gives Our Chests of Drawers Their Superior Quality? 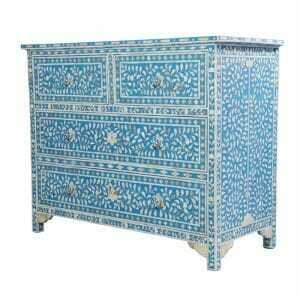 Hand made by experts in Rajasthan, the Land of Kings, these chests of drawers follow the same stylistic qualities as the decorative furnishings and furniture made for the Rajasthani royalty, with the appropriate quality. 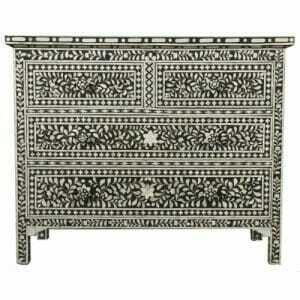 The handicraft methodologies match the carpentry techniques for meticulous precision and quality, as well as sustained longevity with furniture designs for chests of drawers that are both beautiful and practical, being strong, resilient and long lasting. 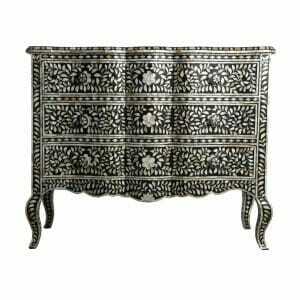 The crafts techniques which develop regionally in Rajasthan have been preserved in their integrity throughout the centuries and abide by the same incredibly accurate detail work that gives Indian ornamental art one of its defining attributes. 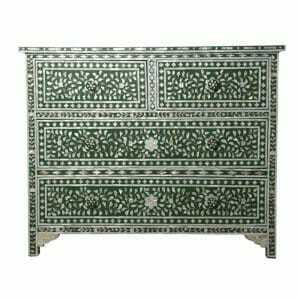 This can be seen in the patterns and geometric shapes ornamenting our chests of drawers and apply whether the furniture is finished in mother of pearl inlay, camel bone, metal embossing or is painted. 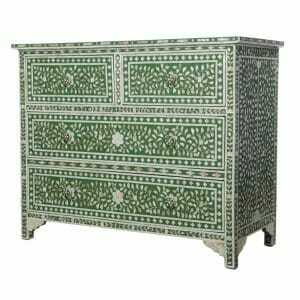 The fine quality of ethically resourced materials accounts for the longevity of the chests of drawers and its ability to hold its shape without warping over long periods of time, even in rooms which change temperature or switch between being dry or humid. 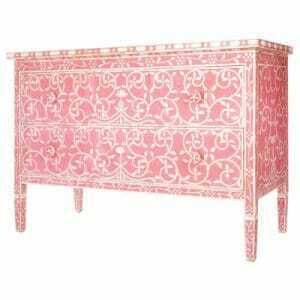 Fashioned throughout from Indian hardwood, which is known for its durability, the sheesham or mango wood chests of drawers are made with smooth sliding capacious hardwood drawers with a good breadth and depth, designed to hold heavy items, bulky items and anything else we want safely stored away while we clutter-clear our rooms. 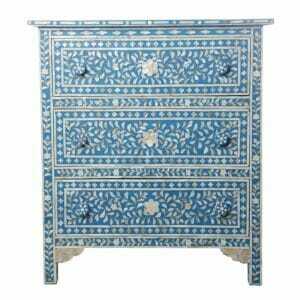 How to Style Your Decor With an Artisan Chest of Drawers? 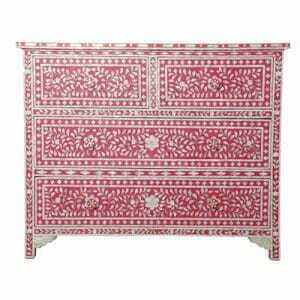 The beauty of our Indian chests of drawers lies not just in their meticulous design and solid framework but in their ability to last and last, so that as décor fashions come and go, you can expect your chest of drawers to last and last. 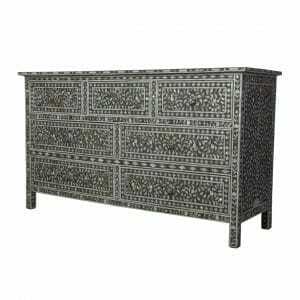 Their stylistic versatility means they can match a changing variety of interior décor styles, so as your tastes change and whether you move home or redecorate, you can expect your Indian chest of drawers to blend in beautifully with your changing looks. 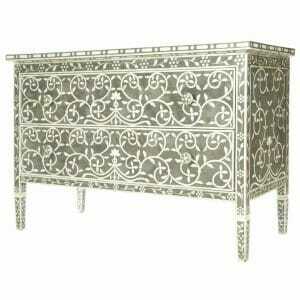 If you choose the beautiful mother of pearl or camel bone inlay, you can either opt for these chests of drawers in their neutral colours of grey, white or the more striking black and expect to have a piece of furniture that will look good with pretty much any colour and the look is easily completed with one other small or not so small item of inlay furniture in the same style; a mirror, coffee table, a bedside chest for example or even just a small box. 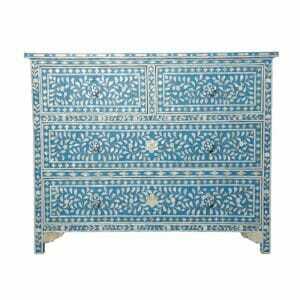 But if you prefer to go for the colour you really love and have your chest of drawers in a soft blue or deep purple, a lime-green or dark teal, simply including soft furnishings that match the main colour, with a hint of shimmering detail, in a room which changes its wall colours every so often, will create the cohesive look that asserts your decorative artisan chest of drawers as either the feature piece you wish them to be, or the flourish that adds a little sparkle to a living room or bedroom, depending on positioning. 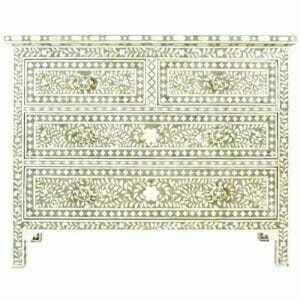 Are Our Chests of Drawers Ethically Made? The wood we use is farmed from trees which are replanted and sold in accordance with laws which seek to ensure India’s successful reforestation programmes. 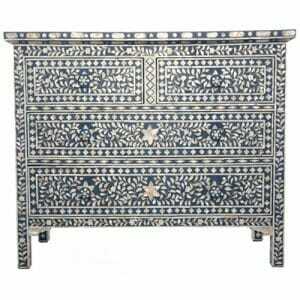 Where we use camel bone inlay, this is harmlessly harvested from camels which have died naturally in the deserts of Northern India and is collected without any harm to animals. 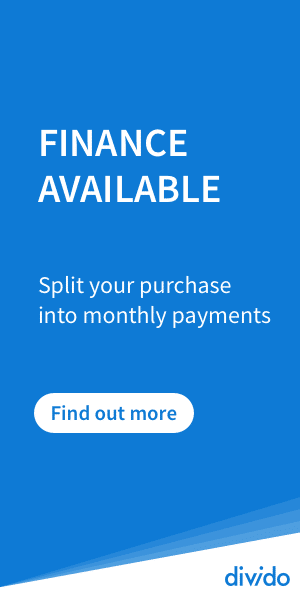 Our familiarity with every part of the manufacturing process means we can be proud to say that our furniture is made ethically, ecologically and sustainably. 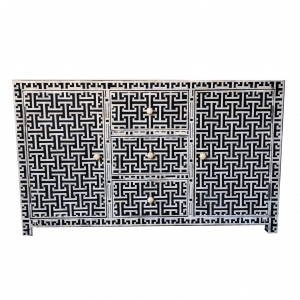 We ensure that the local businesses thrive as a result of our trade and that the cultural identity of which our inlay furniture is such a symbol, maintains its integrity, where the continued practise of the crafts which produce the furniture we sell continue to grow and flourish at their origin, honouring what we're passionate about by trading fairly and responsibly.